When DeAndre’ Coulter began his internship for the office of Seattle Mayor Ed Murray last summer, he knew he’d have the chance to write a few Tweets and maybe check out a press conference or two. 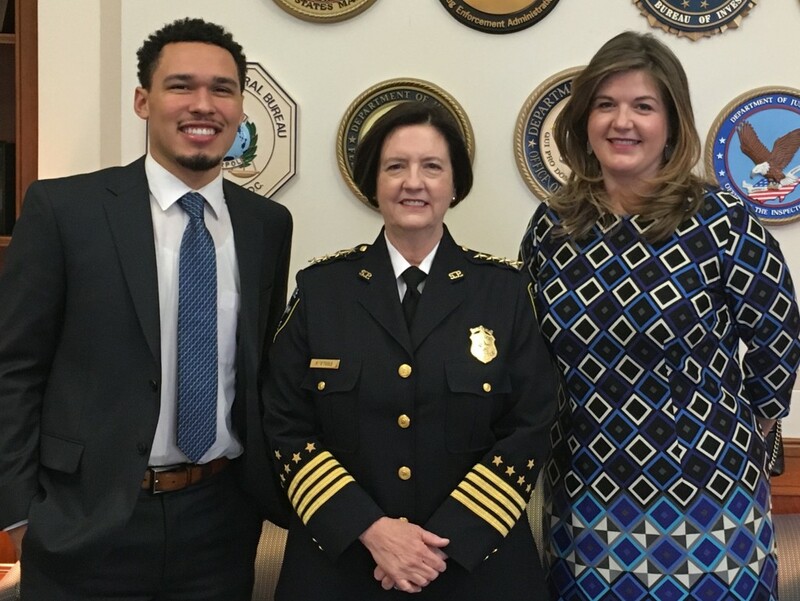 But the UW Comm senior never thought his foray into city government would catapult him to the federal stage, like it did last month, when Coulter, 22, traveled to the White House with Seattle Chief of Police Kathleen O’Toole for the State of the Union. 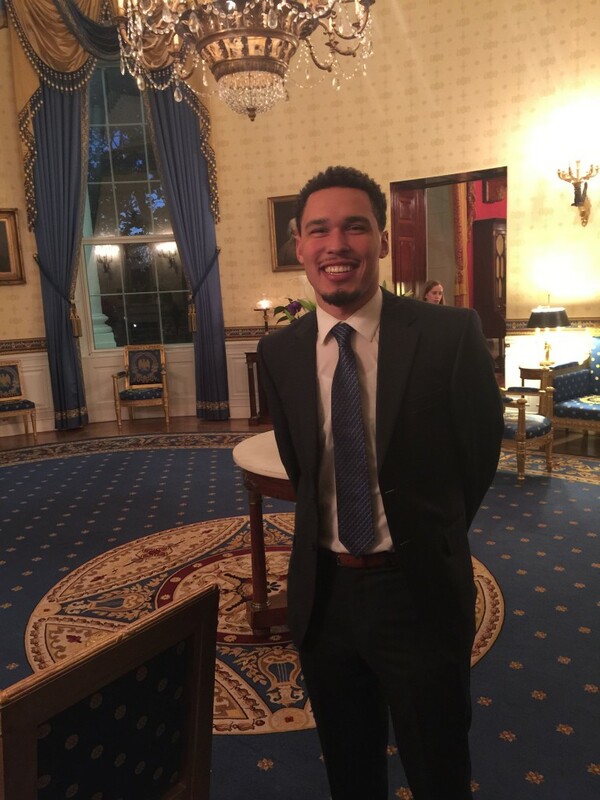 Coulter’s road to the White House began last summer when he started a six-week communications internship with the city of Seattle through the mayor’s Youth Employment Initiative. Though Coulter’s internship technically ended last August, he was asked to continue his work with the Office of Economic Development. Coulter writes newsletters for the OED and runs the department’s social media to this day. Last fall, Coulter, who is focusing his studies on public relations and a minor in diversity, had the chance to sit in on one of Murray’s press conferences. In December, he was able to attend a meeting with the mayor and, in Coulter’s words, “share my story.” Apparently that story made an impression. Coulter received that call on short notice. The chief’s office reached out only a few days before the State of the Union, which was held January 12. Coulter (L) stands with Seattle Chief of Police Kathleen O’Toole (middle) and O’Toole’s daughter, Meghan. “They asked me if I could go and I was like, ‘Anything can be cancelled if it’s in the way,’” Coulter said. Together, O’Toole, her daughter, and Coulter traveled through Washington D.C. speaking to Microsoft CEO Satya Nadella, U.S. Attorney General Loretta Lynch and, for a brief but life-changing moment, Michelle Obama. All of these experiences – from his internship to his time in D.C. – have reinforced Coulter’s belief that PR is the job for him. In the classroom, he’s learned about communication techniques, crisis management, and cultural understanding. Now that he’s on the job, Coulter said he’s been able to see those skills in action.